Contemporary Art Print: Mr Mustard and Doris are on the road to stardom! 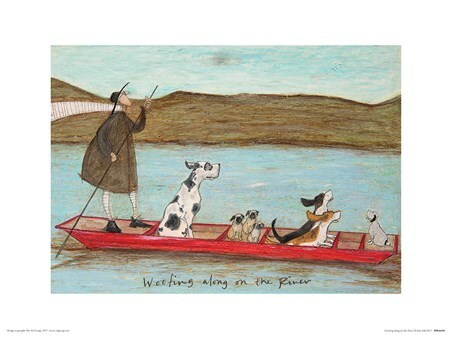 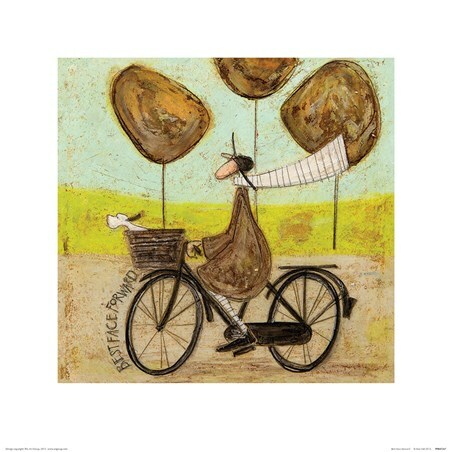 Artist Sam Toft consistently creates new pieces of charming artwork that bring light and happiness to your home. 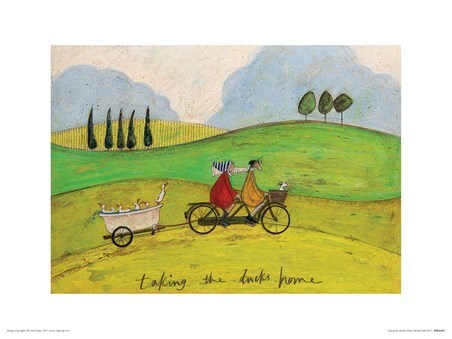 Ernest and Doris have be to be her most loved characters and they bring a charisma to her pieces that is just indescribable. 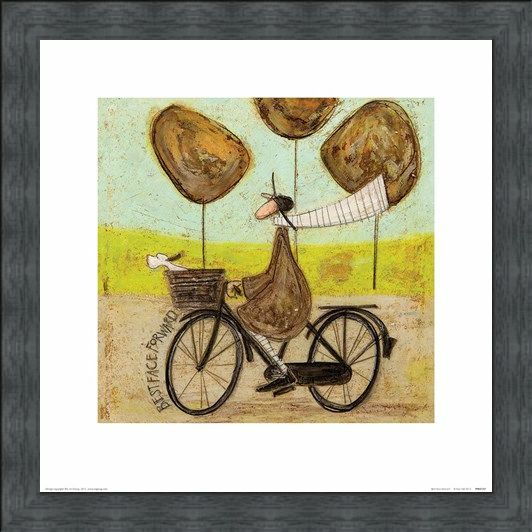 In this certain scene we see Mr Mustard and his beloved dog facing the wind on a casual bike ride. 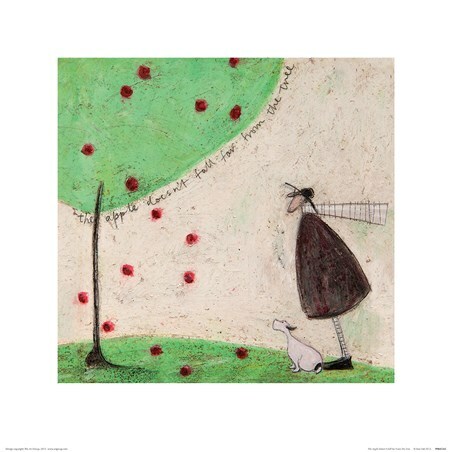 Any fan of this artists work would love to get their hands on this! 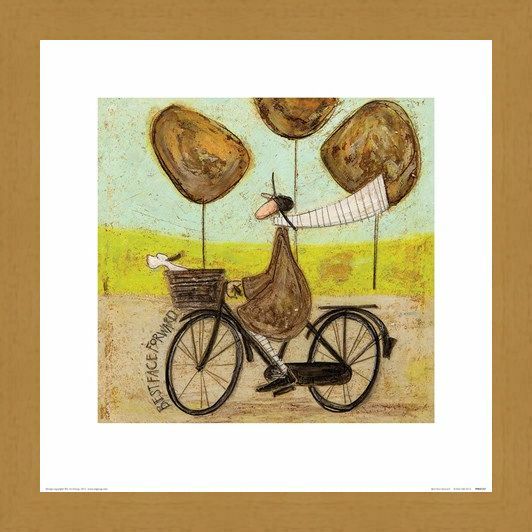 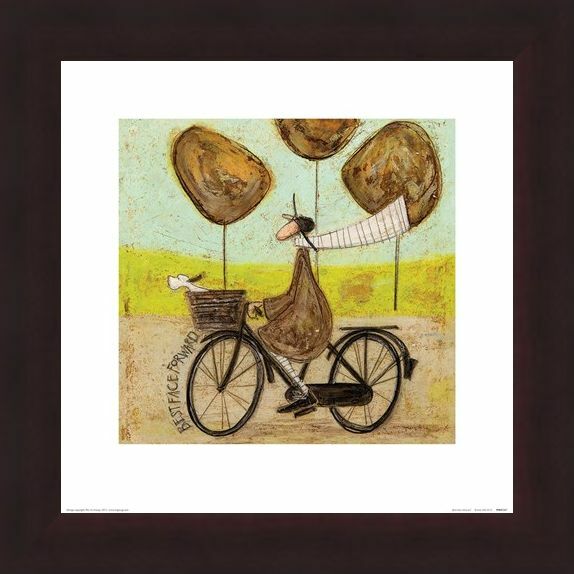 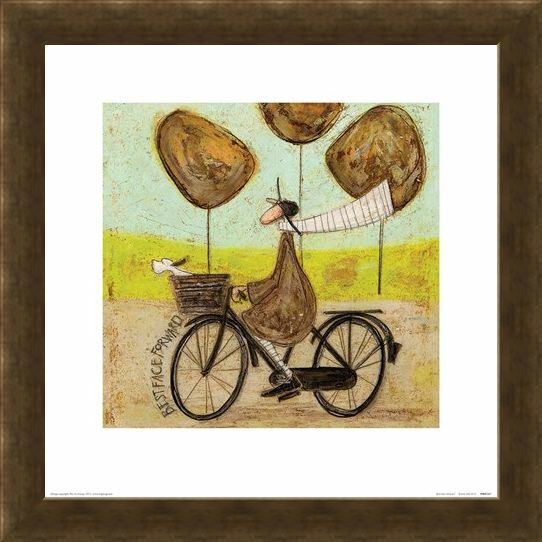 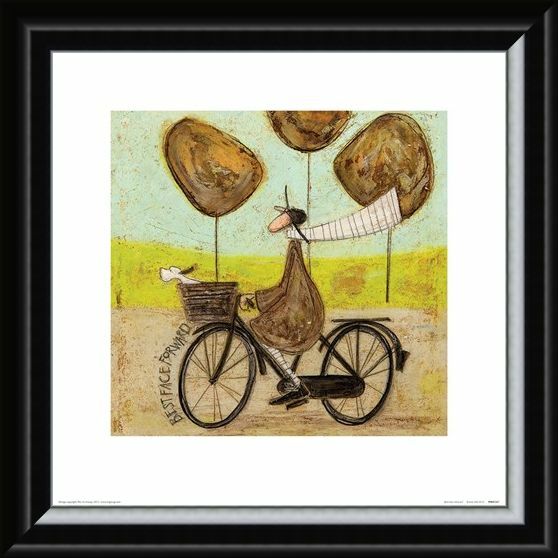 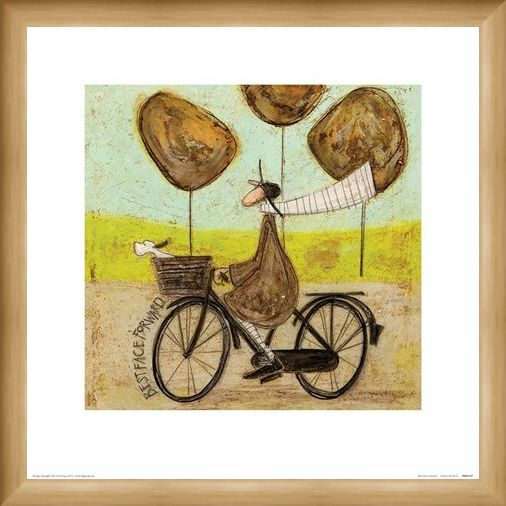 High quality, framed Best Face Forward, Sam Toft print with a bespoke frame by our custom framing service.